Did you know we have pre-owned watches too? 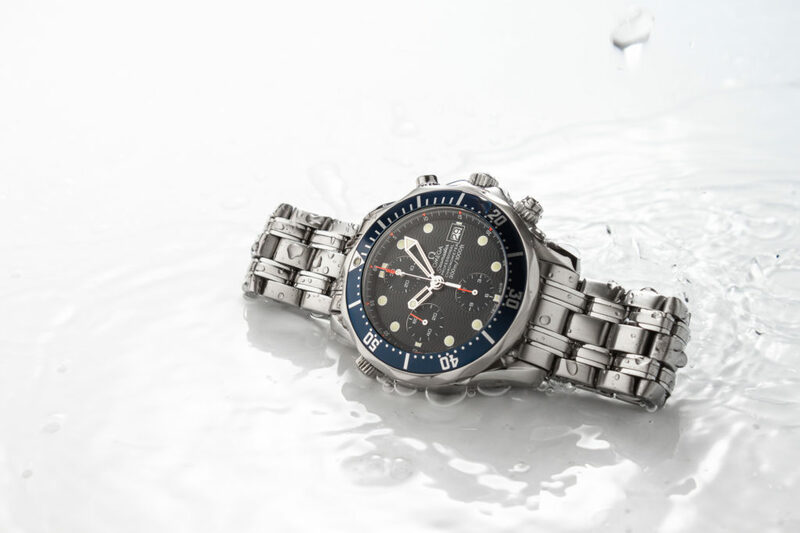 The fourth generation of the Omega Seamaster Diver 300M was introduced just last year. It's a great watch no doubt - but the first gen will always have a special place in our hearts. The watch we have here is the ref. 2599.80.00, which is the big & brash brother of the classic 'Bond'. The diameter remains the same as the full-size Automatic & Quartz, but it's noticeably thicker - room needed to house the self-winding caliber 1164 (based on the Valjoux 7750). Paired with the stainless steel bracelet this makes for a hefty combination and healthy wrist-presence - even after all these years! This watch is serviced by our Omega-certified watchmaker. It does not come with box and papers. It will be uploaded to our Chrono24 page soon.